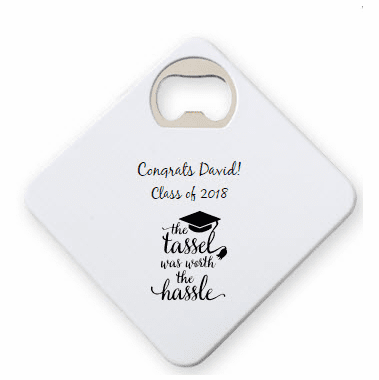 Not only will these personalized bottle openers double as coasters, they are also personalized graduation favors. Select a color that represents the color of the school from which you graduated or the school that you will be attending. 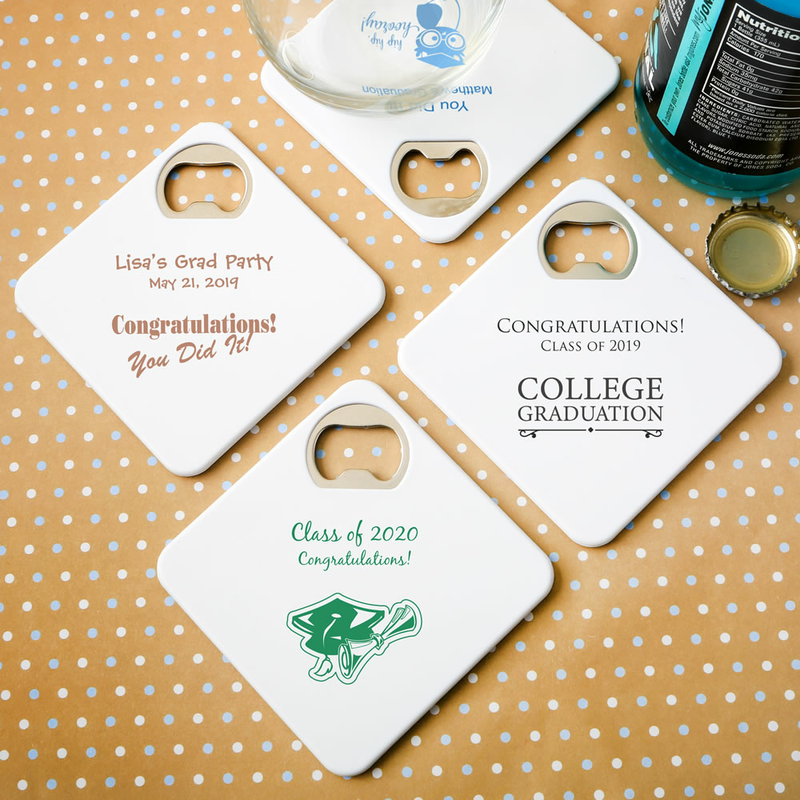 Measuring 3 1/4" x 3 1/4", coasters are made of solid white plastic. Embedded into one of the corners is a bottle opener. 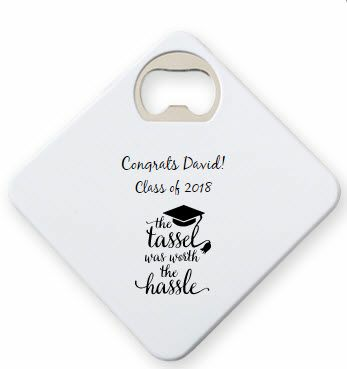 The black felt bottom keeps coasters and drinks from slipping.